We are musicians… our parents are worried and are always asking the reason “why we don’t do a serious job”. We are musicians… we pass our time exercising and writing songs and we hope that our passion can become our profession. We are musicians… our dream is to come out from a damp basement to spread our passion and reach the highest number of people possible. We are musicians… we play songs and genres that we do not like only to make a few bucks. We are musicians… we teach how to play our instruments with dedication but often our students – especially the ones who are forced by their parents to study music – treat us like we were their personal psychologists. We are musicians… we travel a lot to play in the most isolated clubs of the world and our audience is only composed by the artists that are going to perform after our gig. We are musicians… sometimes we are envious of our most successful colleagues and we live our condition of artists with competition and careerism: we are not mean, we are just afraid of the fact that if we will not be the best we will not be able to survive. We are musicians… we spend our days studying in the morning, teaching in the afternoon and practicing in the evening during the week; in the weekend we perform. We are always hurrying and we have no free time, but society – and often our friends too – see us as do-nothing losers. We are musicians… when we talk with our colleagues we are always complaining about our uncertain future; we often talk behind other musicians’ back just because we see them as our competitors; we argue about musical opinions and tastes; we passionately talk about musical gear and stuff like fetishists. Every other topic is unknown to us. We are musicians… our love stories are complicated: our partners hardly understand and sometimes hardly accept our passion for music; in some cases, we are not able to communicate this passion to them so often we end up alone. In a few cases, when our partners are musicians too, we are only able to share our insecurities and worries about an uncertain future. 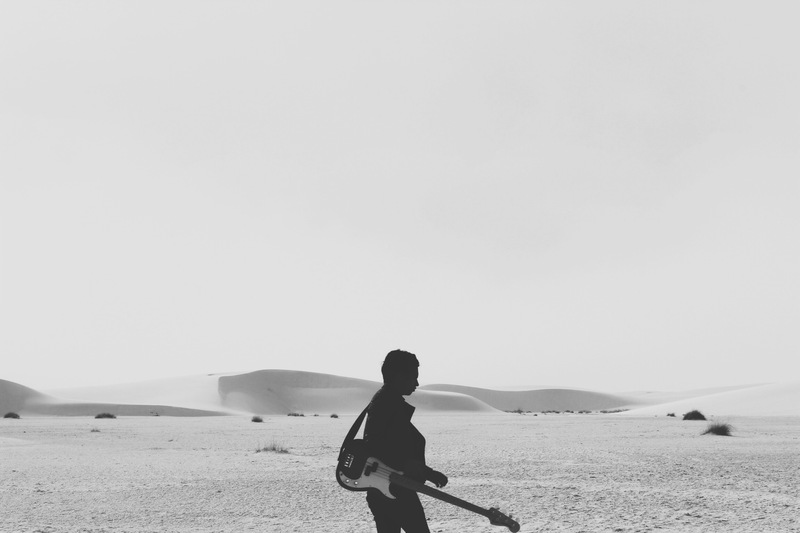 We are musicians… we live with a constant stage fright, which becomes a condition of recurrent panic attacks, anxiety, rage and grouchiness just before the show. In addition, when the concert is over, we are never completely satisfied of our performance. We are musicians… we are very good at playing but also very good at fighting. Every day there is a new one to argue with: the ones who criticize our lifestyle, the ones who do not support us, club owners, our band mates, orchestra conductors, audio technicians, booking agencies, labels, managers, music school chiefs… Maybe as we grow up we learn how to win our fights but at the end of the quarrels, we always feel drained and disappointed. We are musicians… the obstacles, the difficulties and the competition that are part of our world are constantly haunting us and make us feel like we live with a recurrent sensation of negativity and pain. In our mind, we have a lot of frightening thoughts, doubts and disenchantment but we also hope in a stroke of luck, which always seems so distant. We are musicians… sometimes dissatisfaction and unhappiness are so strong that we ask ourselves if it’s not really a better choice to end our musical career, let our “childish” dreams go and start a new job that could give us a fixed salary. Yet, we know that if we abandoned music we would regret this so much. In our hearts hope never dies: we always believe in our inner melodies and rhythm. Obviously the situation is not so bad for all the musicians, but many of us have gone through hard times, living some, or all, of the situations that I mentioned. I have lived through all of these and this inner fight between disappointment and passion has brought in my mind a recurrent question that I constantly ask myself: is there an exit to this labyrinth of constant frustration? The will to find the answer to this question has pushed me in my inner search based on different spiritual, esoteric, psychological, scientific, artistic and philosophical traditions, in order to verify if these could better my life, even the one as a musician. So “The Path of Music” was born. ⟵Where’s the talent in talent shows?